Need a higher level of care? 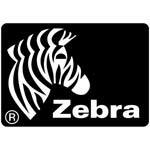 Zebra OneCare Select service delivers more capabilities. No matter what time of the day or night you have a problem, the experts are ready to help. Select service provides a technical support help desk with 24x7 availability. Want visibility to better manage assets within your environment? the cloud-based visibility service option, powered by the Asset Visibility Platform, provides the location, condition and usage patterns of your LinkOS network enabled printers to enhance worker productivity.